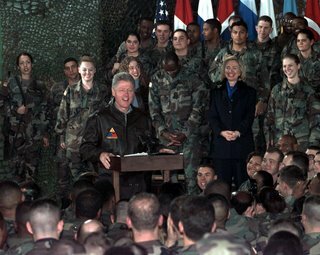 Condoleezza Rice came under a shocking Democratic attack yesterday - as a childless woman who can’t understand the sacrifices made by families of U.S. troops in Iraq. In a bitter personal assault on the secretary of state during her appearance before the Senate Foreign Relations Committee, anti-war Sen. Barbara Boxer fumed that Rice didn't com prehend the 'price' of the war. 'You're not going to pay a particular price, as I under stand it, with an immediate family,' Boxer (D- Calif.) ranted. 'Who pays the price?' she repeatedly demanded during Rice's Capitol Hill grilling." 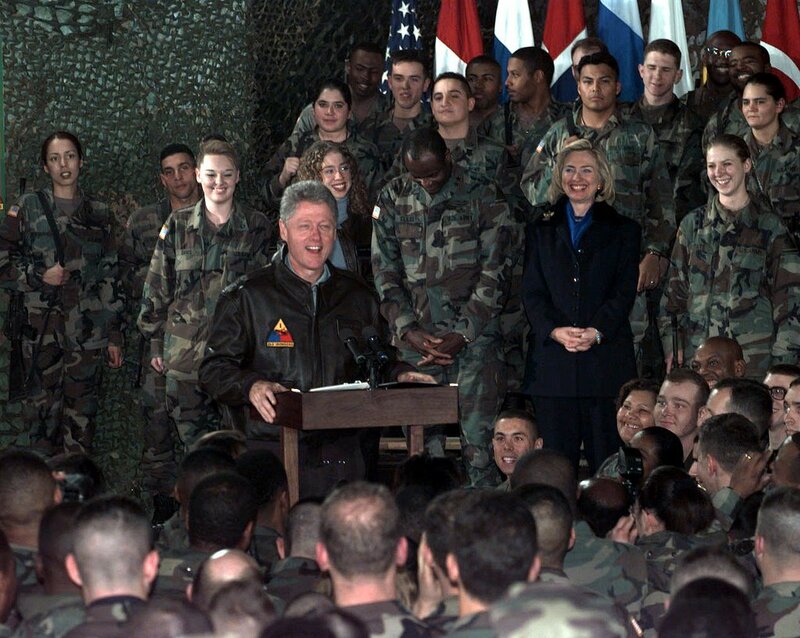 Clinton yukking it up with the military he loathes. A Secretary of States' opinions are baseless and not relevant unless they have children. Hello? Women libbers ? A black woman elevated to such a powerful position in this country ... unmarried ... no children. Isn't this the quintessential woman? But then be attacked for, in essence, not having children? Where's the outrage? Tony Snow, spokesman for the White House said, "Here you got a professional woman, Secretary of State Condoleezza Rice, and Barbara Boxer is sort of throwing little jabs because Condi doesn't have children, as if that means that she doesn't understand the concerns of parents. Great leap backward for feminism."